Space Conflict: Invasion - FLY as fast as you can! AVOID the alien rockets and asteroids! Exciting space adventure where you will control a ... spaceship! In this game you need to fly from one planet to another, by touching the screen. Dangers are awaiting you at every step so to defeat the enemy you will need a calculating mind and lightning reaction. And once in one of four black holes you can set a world record, this is a serious challenge for everyone. 3..2..1.. Well, you think you're pretty agile? Let's start! ★ NEW colorful Retina HD graphics! Join us, pilot, and have a lot of updates and events. Explore farthest frontiers of universe, and find new civilization. From indie with love :) Maybe the best space runner on the earth. Download now and enjoy! 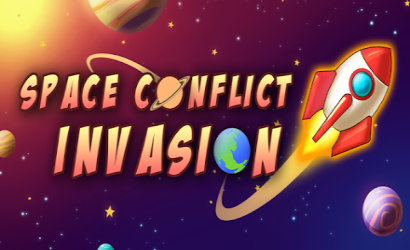 Space Conflict: Invasion: install APK and play the game!